Sustained Encounters is comprised of long evolving aural environments and unfolding atmospheres. Culled from MacLeod’s private reserve, an accumulation of years of film sound design and sonic exploration, these textures were individually ‘composed’ utilizing bleeding edge psychoacoustic processing, designed specifically to be intricately interesting and immersive without being obtrusive to additional content. Over 100 well-documented devices, building blocks, and lessons, including many of our much-loved Pluggo plugins. And over 1000 more freely available from a strong community of device builders. Pluggo 3.5 is an extraordinary collection of more than one hundred audio plug-ins. Pluggo works with sequencers and audio applications that support Audio Unit, VST, and RTAS plug-in formats. There has never been anything close to the selection of plug-ins assembled in Pluggo. With its range of sound design possibilities, Pluggo 3.5 is more than just a few effects-it’s a real-time interactive audio processing, modulation, and synthesis environment that works right inside your favorite audio application. Effects categories include delays, filters, pitch effects, distortion, granulation, spectral effects, modulators, multi-channel effects, synthesizers, audio routing, reverb and dynamics, and visual display. It’s easy to see why Pluggo has been winning rave reviews from critics and users since its release. MAn interactive graphical programming environment for music, audio, and media. Max is the graphical programming environment that provides user interface, timing, communications, and MIDI support. MSP adds on real-time audio synthesis and DSP, and Jitter extends Max with video and matrix data processing. Plug-ins that combine classic synthesis and effects technique with state-of-the-art performance control. Mode features user-friendly arpeggiators, integrated synth effects and simplified control of complex systems. As a result, Mode opens creative doors previously seen only in the best hardware devices. Developed by the CreativeSynth team, the Mode plug-ins are unlike anything you’ve heard–deep basses, soaring lead lines and bizarre percussion, processed by synchronized effects and even a looper’s paradise of delay lines. Hipno is built using Pluggo technology to create over 40 plug-ins from video-controlled modulated delays to stunning granular sequencing effects. With such a diversity of plug-ins to explore, you might wonder where to start. We’ve color-coded the plug-ins to make it easy to explore those which may interest you most. 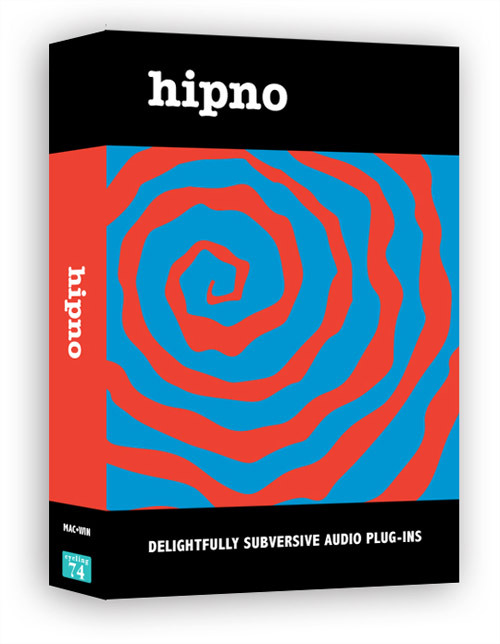 Hipno is a hell-raising horde of audio plug-ins and virtual instruments for Audio Unit, RTAS, and VST host applications. The Hipno collection, designed by Electrotap, features an irresistible mix of granular, spectral, and filter/delay-based plug-ins that feature the unique Hipnoscope morphing interface shown below.